Discharge of nitrogenous compounds in water bodies, municipal and industrial wastewaters causes eutrophication which promotes excessive growth of microalgae and cyanobacteria. Microbial desalination cells (MDCs), a form of bioelectrochemical systems, allow for simultaneous wastewater treatment (both carbon and nutrient removal) and desalination of saline water with concurrent electricity production. This study describes the use of an autotrophic microorganism, Anammox bacteria, as a sustainable biocatalyst/biocathode in MDCs to provide for an advanced, energy-positive wastewater treatment. Our preliminary research has shown that using an autotrophic microbial culture containing anammox bacteria as the biocathode or biocatalyst for simultaneous energy generation and wastewater treatment is a feasible option. Batch experiments improved the coulombic efficiency of the system as well as the nitrite and ammonium removal of the wastewater. A maximum power of 0.114 W/m3 with more than 90% removal of ammonium was achieved in this system. The findings of this research showed that this system is more useful for wastewaters with low C/N ratio to suppress the possibility for growth of heterotrophic bacteria. Here, we present the microbial population dynamics, wastewater treatment performance trends and energy and resource recovery capacities of anammox bioelectrochemical systems from a long term operation and process control point of view. A detailed account of microbial biofilm analysis for both anode and cathode, process benefits through mass (carbon, nitrogen and salt) and energy balances will be presented. Future directions for developing sustainable water and resource recovery systems based on anammox bioelectrochemical platform will be discussed. 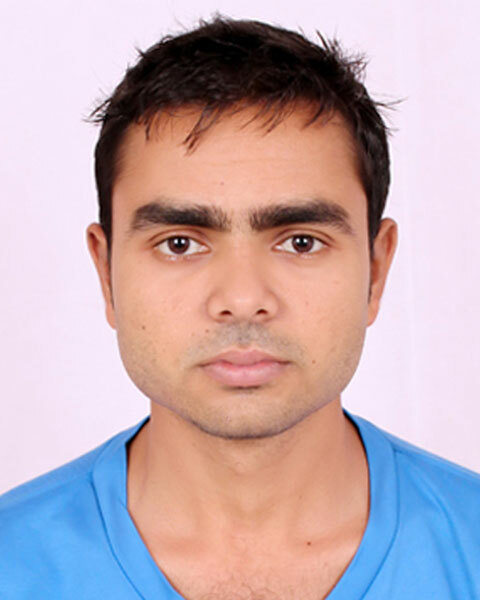 I am Umesh Ghimire, currently working as a PhD scholar in bioenergy and wastewater treatment lab, department of civil and environmental engineering at Mississippi State University, Starkville, MS, USA. My research interest encompasses bioelectrochemical wastewater treatment, desalination, biosensors and its application of in wastewater toxicity assessment, environmental sustainability, water recycling and waste management. 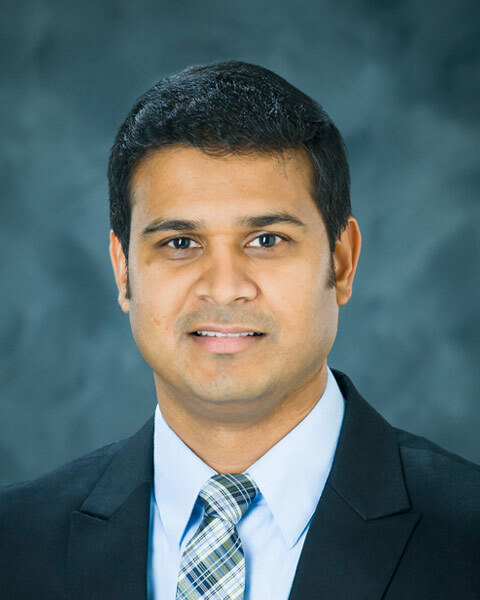 Bio: I am Umesh Ghimire, currently working as a PhD scholar in bioenergy and wastewater treatment lab, department of civil and environmental engineering at Mississippi State University, Starkville, MS, USA. My research interest encompasses bioelectrochemical wastewater treatment, desalination, biosensors and its application of in wastewater toxicity assessment, environmental sustainability, water recycling and waste management. Dr. Gude is a faculty member of civil and environmental engineering department at Mississippi State University. He has degrees in chemical (BS) and environmental engineering (MS, PhD) disciplines. He has over 15 years of academic, industrial, and research experience in various chemical and environmental engineering projects. Dr. Gude is the chair and board representative for American Solar Energy Society’s (ASES) Clean Energy and Water (CEW) Division. He has published over 125 scholarly publications in highly regarded discipline specific journals, peer-reviewed conference proceedings and invited book chapters in desalination, biofuels and water research areas. He is a scientific and technical reviewer for over 100 international journals, book publishers, several national and international research funding agencies and editor/editorial board member for 5 international journals. He is a licensed professional engineer in the state of New Mexico and a board certified environmental engineer (BCEE, also known as Diplomate of Environmental Engineering, DEE) by the American Academy of Environmental engineers and Scientists (AAEES). His teaching and student scholarly mentoring activities also received national (USA) recognition through numerous awards. Bio: Dr. Gude is a faculty member of civil and environmental engineering department at Mississippi State University. He has degrees in chemical (BS) and environmental engineering (MS, PhD) disciplines. He has over 15 years of academic, industrial, and research experience in various chemical and environmental engineering projects. Dr. Gude is the chair and board representative for American Solar Energy Society’s (ASES) Clean Energy and Water (CEW) Division. He has published over 125 scholarly publications in highly regarded discipline specific journals, peer-reviewed conference proceedings and invited book chapters in desalination, biofuels and water research areas. He is a scientific and technical reviewer for over 100 international journals, book publishers, several national and international research funding agencies and editor/editorial board member for 5 international journals. He is a licensed professional engineer in the state of New Mexico and a board certified environmental engineer (BCEE, also known as Diplomate of Environmental Engineering, DEE) by the American Academy of Environmental engineers and Scientists (AAEES). His teaching and student scholarly mentoring activities also received national (USA) recognition through numerous awards.